Daytona Designs is a full service Web design company based in Daytona Beach, FL. We specialize in creating functional, user-friendly, custom web designs, e-commerce solutions, search engine optimization, Internet marketing and local search marketing. Often, a website is the first contact people will have with your business so it should be treated much like your physical storefront or office. A professionally designed, well organized and easy navigate site will give you an edge over your competition. Also, for just pennies a day a Website will advertise your business and sell your products 24 hours a day, 7 days a week! At Daytona Designs our website designs are custom made to meet the unique needs of our clients and we never use cookie cutter web templates. We offer starter website designs, expandable content management systems, fully manageable e-commerce website solutions and mobile web design solutions. We will build your website using responsive design technology so it will be viewable on everything from desktop computers to mobile phones. If you’re too busy to update, manage and maintain your site we can provide you with website management and maintenance services at very reasonable rates. No matter what business you’re in, an excellent online presence is one of the best strategies for building a good customer base. If your website is not ranking high in Google, Yahoo, Bing and other search engines you are missing potential sales and customers! 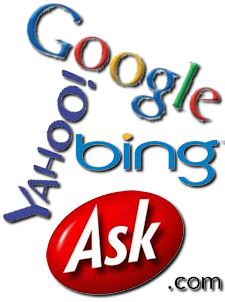 We provide an affordable search engine optimization solution designed to help your website rank in organic searches. Let us help you bring new customers to your site. If your business isn’t utilizing Social Media Marketing you are missing out on hundreds of potential customers! FaceBook, Twitter, LinkedIn and other social sites are inexpensive and very effective in bringing your products or services to the masses. Studies show that 53% of twitter users regularly recommend companies to others while 74% of business to consumer companies use FaceBook marketing to reach potential customers. The survey also shows 57% of businesses get customer by using contacts obtained through LinkedIn. 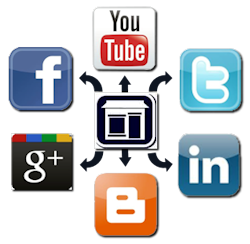 Social Media Marketing is essential for any business that offers products or services! Daytona Designs offers professional, custom website design for all business applicationsAll our designs are custom tailored to the specific needs of our clients. We are experienced in website design for all types and sizes of businesses in any industry. If you need a small static site or large corporate database-driven e-commerce website we have you covered. We specialize in developing dynamic, easy to navigate, cost effective websites that will improve both company image and internet presence. Internet marketing is essential in today’s mobile generation. Let’s face it the Internet has become the media of choice when searching for events, products or services. If you want your business to be found a strong Internet presence is a must. This requires a targeted Internet marketing strategy that will focus on your niche market. Daytona Designs can provide you with effective, affordable internet marketing solution that will give you an edge over your competition and help you attract new customers. Do you want to increase your customer base? If so you owe it to yourself and your business to give social media marketing a try! For a small initial investment you can expose your business to a global market! Consider this, the four top social media site have a combined audience in excess of 2 billion people! Social media spreads the work by way of “word-of-mouth” so if a person likes what you offer they recommend you to friends and relatives and they in turn pass it one. This is a cost effective way to reach new customers.